If you’re a frequent user of social media, you have an appreciation of easy communication, access to the latest news, and being able to express yourself online. If you’re not, you prefer what’s in front of you, and you can’t be bothered with considering what you should and shouldn’t say online. Ever get a conversation about this going with one person from each of those groups? That’s always a bit entertaining. Each have their valid points but it simply makes sense to build on the success of your business with the accessibility of social media. Give your employees and audience a chance to see what kind of culture you’ve built and the amazing people that are a part of your team! Give your brand a personality! I must admit, I am impartial when it comes to social media, personally. I have a few accounts that I check up on, but I don’t post about my daily life or pictures of a fancy pancake I had one morning. That said, many of my coworkers are the polar opposite. Even so, I do understand the importance of social media for businesses in this day an age. It’s unavoidable and rather necessary. Let’s keep in mind, social media is “free” advertising for your brand (“free” in the sense that you don’t have to pay for a subscription). An opportunity to promote the business without the steep costs of print advertising and online ads. Marketers can creatively run wild with little restriction. Seems like a no-brainer, right? Yet, there are still a number of companies hesitant to jump at this opportunity. In today’s business world, your website and social media presence is a great first impression for potential customers. How do you want that first impression to go? Your website and social media should be a positive reflection of who you are. 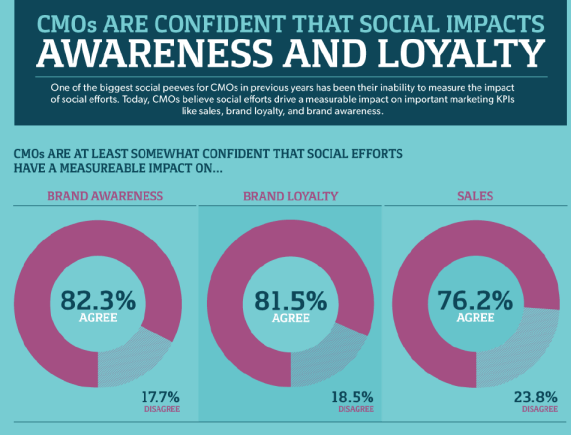 Consider this, 74% of consumers rely on social networks to guide their purchasing decisions. The opportunity is there! 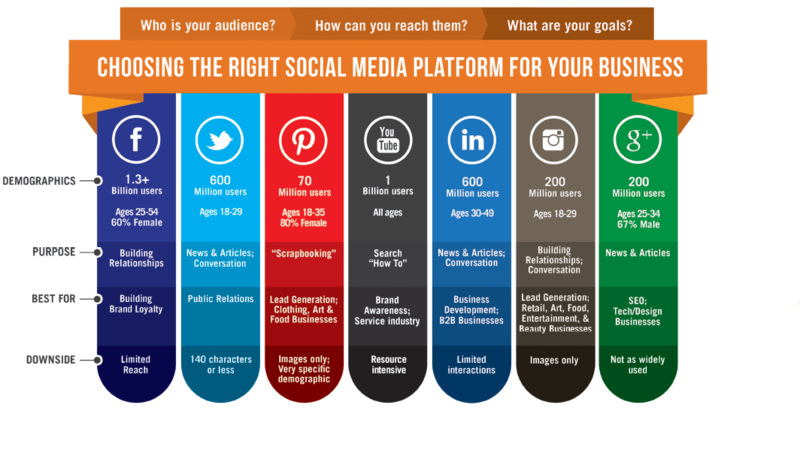 Yet so many companies poo poo the idea altogether as 24% of businesses have ZERO social media presence. And it isn’t enough to just have a site for the heck of it. You’ll find a number of companies who haven’t posted anything new since their 4th of July sales or office Christmas party… Effective social media is built on frequent activity and fresh content that can drive viewership and sales. All of the goals in the above graphic are true, yes, but they are cookie cutter answers. Here at Bortek, we are different… but in a good way. Of course we want a stronger brand reputation and increased web traffic, etcetera, etcetera. But that isn’t the sole focus, we want more out of our social sites. We have created a solid following on platforms such as Facebook, YouTube, and LinkedIn to share anything and everything about the company. Most companies go about their social content in a sterile, corporate snooze fest kinda way and a who’s who of pencil pushing. Basically to achieve the above mentioned goals and move on with their day. Nope. Not gonna happen here. We want our customers to be able to see the faces behind the company. To humanize the business and see what we are all about. Pretty simple. We are regular human beings trying to make the world a little cleaner everyday (cue the tv sitcom “awwwwww” sound effect). We go for catchy, fun, and informative and something that people look forward to! Don’t believe me, take a look at our media page for the latest videos. And much like this blog, we try to compile a nice blend of industry related topics with something completely off the wall, you know because why not? 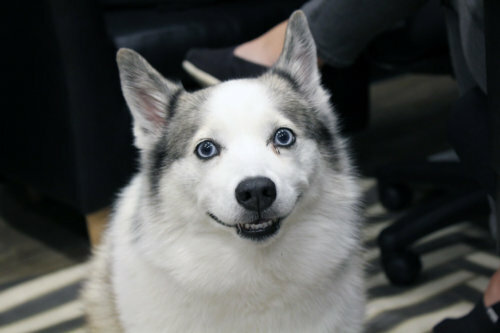 On our Facebook page, for example, it’s not out of the ordinary to see a rockin’ video of the PowerBoss Atlas Sweeper or the HammerHead 950MS Sweeper one day and then the next day a picture of one of the many doggos that our employees bring in weekly!